Birgit is an enthusiastic and innovative urban planner at APPM. She mostly works in the field of cycling, urban planning and mobility management. Birgit’s main drive is to manage processes and involve people in her projects. She focuses on interaction with stakeholders and participants within a project, next to managing the content. Birgit has a degree in Urban Planning and in Communication Studies. By combining both backgrounds, she is able to find innovative solutions and to create synergy within her projects and workshops. 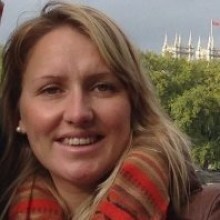 Birgit likes to organize interactive workshops, participative sessions and network activities. DCE experience/projects: For the Dutch Cycling Embassy, Birgit has done several ThinkBike Workshops and presentations, for example in the city of Helsinki, Berlin and Göteborg.